Important financial review time | Your Life Security, L.L.C. September was Life Insurance Awareness Month yet, just like October we continue to transition from summer to autumn, it’s a great time to do a financial checkup on your life. Are you protecting yourself and your family with this necessary coverage? In the event of a tragedy, life insurance can help pay the bills and mortgage, continue a family business, finance future needs (such as your children’s education), protect your spouse’s retirement plans, and much more. 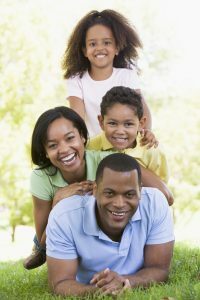 Life insurance plays a key role in having a sound family financial plan. Life insurance is a necessity that you need today to help you prepare for tomorrow. What if you were suddenly gone and your family had to manage on their own? When was the last time you did the math to make sure your loved ones would be financially sound? Have you checked with your employer to find out what kind of life insurance benefit you have through work and if that will be enough to protect your family in the event of tragedy or terminal illness? Talking with the professionals at Your Life Security can help you understand the high risk associated with not having proper life insurance coverage. We know that your family’s financial future is too important to leave at risk. already have a life insurance policy, please consider reviewing your coverage to ensure that you have the proper policy for yours and your family’s needs. Many big life events, such as having children or buying a home, can affect your life insurance needs, and we’re here to help make sure you’ve got the protection you need. For more information about life insurance or to review your current coverage, give us a call today!